Jackson, SC……Mrs. 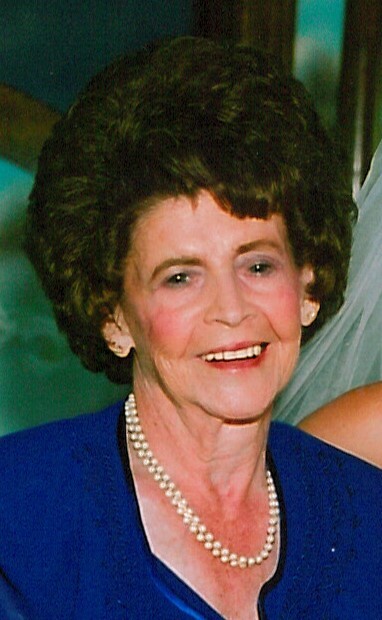 Artince B. Chapman, 92, wife of the late Andrew W. Chapman, Sr. entered into rest on Friday, January 18, 2019 at her residence, surrounded by her loving family. Her funeral service will be held at 2:00 PM on Sunday, January 20, 2019 in the Rowland-Ford Funeral Home Chapel with Rev. Don Shires and Dr. Roy L. Head officiating. Interment will follow in Jackson Memorial Cemetery. Survivors include her children, Andy Chapman (Susan), Mary Campbell, Carolyn Head (Roy), Judy Johnson (Tommy) and Andrew W. Chapman, Jr. (Bunny); her grandchildren Kristy Patterson, Traci Talman, Andrea Alderidge, Aimee Moreno, Thomas Johnson, Elizabeth Campbell, Ashley Porter, Samuel Chapman, Rebekah Chapman, Maggie Chapman, Joy Harper, Alvin Kilpatrick, Kenneth Kilpatrick, Tommy Kilpatrick, Steve Kilpatrick, Mark Chapman, Michael Chapman, Milton Chapman, Bobby Chapman, Doralene Webster, and Joanna McClure, 34 great grandchildren and 13 great great grandchildren; a special friend and co-worker Robert Bryant and her loving caregiver, Angie Crowder. She was preceded in death by two children, Bobby F. Chapman and Clara Kilpatrick and nine siblings. Samuel Chapman, Michael Chapman, John Talman, Jared Talman, Steve Kilpatrick, Thomas Johnson and Jacob Stawney. In lieu of flowers, the family requests that memorials be made to Calvary Baptist Church, 708 N. Hankinson St. Jackson, SC 29831.